Dawn was born and raised near the shores of Lake Michigan. She met her husband, Pastor Tim Mueller, at Concordia University, Ann Arbor, MI. They married on campus the day before they graduated with their bachelor’s degrees. Dawn began teaching third grade in St. Louis while her husband attended the Seminary. While on vicarage in Iowa the Lord blessed them with a son, Jacob. Returning to St. Louis, Dawn taught preschool in St. Louis. Tim was sent to St. John’s Lutheran Church in New Minden and St. Luke’s Lutheran Church in Covington in January, 1988. The family grew as sons Paul, Daniel and Lukas were born. Tim and Dawn were delighted to have a Lutheran School for their sons to attend. Dawn enjoyed her calling as a stay at home mom and also volunteered at TSJ in the library. She was able to fill in as a teacher through the years and for one year, taught 4th grade half a day with Mrs. Lange. As the boys grew, Dawn was called to teach preschool at Trinity in Hoyleton. She was blessed to serve there for 10 years, 2001-2011. She later served as International Director of Education for the Children’s Christian Concern Society, assisting with funding for Christian education for 20 countries worldwide. One of her greatest joys was to receive an invitation to write Bible story books for Copenhagen Publishing Company in Denmark. God’s Story for All Children’s Bible has been translated in several languages. My Precious Bible stories, her second book published for preschoolers, has been used around the world. She also edited and voiced three Bible story apps for them. Presently she is working on a book to teach Christian doctrine that will be used in Asia and distributed by the Lutheran Heritage Foundation. Traveling to see the grand-treasures, two year old Hanna, in Emma, MO and four year old Sophia with two year old brother Xavier in Vassar, MI always brings great fun and excitement. Dawn and Pastor also enjoy participating in 5Ks and working in the garden together. 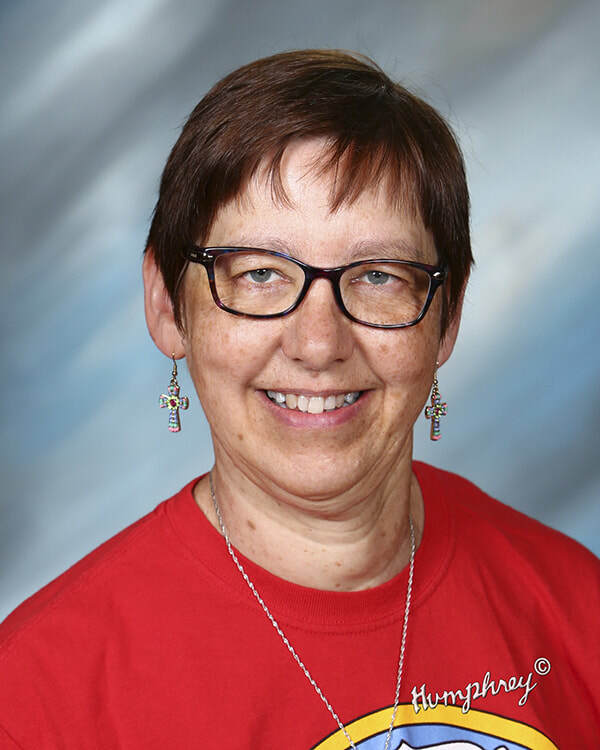 She is delighted to be called to teach at Trinity-St. John Lutheran School, working with the students in second grade. She hopes to share with them her love of reading as they study many countries around the globe. Janice grew up in Bunker Hill, IL. She attended St. Paul’s College in Concordia, Mo. and then Concordia University in Chicago. She has worked at T-SJ for 29 years teaching second grade, pre-school, and kindergarten. She also teaches music to pre-school through fourth grade and coaches the Scholar Bowl Team. She and her husband Steve have been blessed with three sons and two grandchildren. She enjoys sports, sewing, reading, playing guitar, and singing. She likes working on music for children’s handbells. Laurie was born in Fort Wayne, Indiana and grew up in the country near the small towns of Hoagland and Monroeville, where her parents still live. She attended St. John Flatrock Lutheran Church and was blessed to attend their Christian day school. She has one brother, Dan, who lives with his family in Austin, Texas. She attended college at Concordia Chicago, and accepted her first call to Nashville after graduation in 1981. Her husband, Carl, works at F&M Bank, and they live in Nashville with their pug, Larry. She has one son, Grant, who is 29 and working on his PhD at the University of Missouri. Her daughter Caitlin is 26, and is a NICU nurse at St. Mary’s in Clayton, Missouri. When she is not teaching, she loves to read, travel, and take pictures. Diane grew up in Prairietown, Illinois where she attended grades 1-8 at St. Peter’s Lutheran School. She graduated from Edwardsville High School before going to St. Paul’s Lutheran College in Concordia, Missouri. After earning an Associate’s degree, she completed her Bachelor’s degree in Elementary Education from Concordia University in River Forest, Illinois. During her studies, she completed a number of courses in music which she has used throughout her teaching ministry. After graduating from college, she received a call to teach grades 3 and 4 at Immanuel Lutheran School Murphysboro, Illinois. In addition to teaching, she was the children’s choir director as well as the adult choir director. After serving there for six years, she received a call to teach third grade here at Trinity-St. John. This call also included both the adult and children’s choir. She is now in her 34th year of teaching. Some of her extracurricular activities include preparing students for music contests, directing musicals, and other music programs. Diane and her husband Curt have one daughter, Katie who recently graduated from the University of Illinois. When time allows, she enjoys scrapbooking and making notecards. During the summer she especially enjoys working outside in her flower garden. She also enjoys volunteering for the non-profit ministry, Basket of Hope. Deb grew up in Lincoln, Nebraska. After graduating from Lincoln Southeast High School, she went on to Concordia University, Nebraska (called Concordia Teachers College at the time.) After two years she transferred to the University of Nebraska at Lincoln and graduated with a Bachelor of Science in Elementary Education. She then subbed in Lincoln while taking colloquy classes at Concordia to finish her Lutheran Certification. 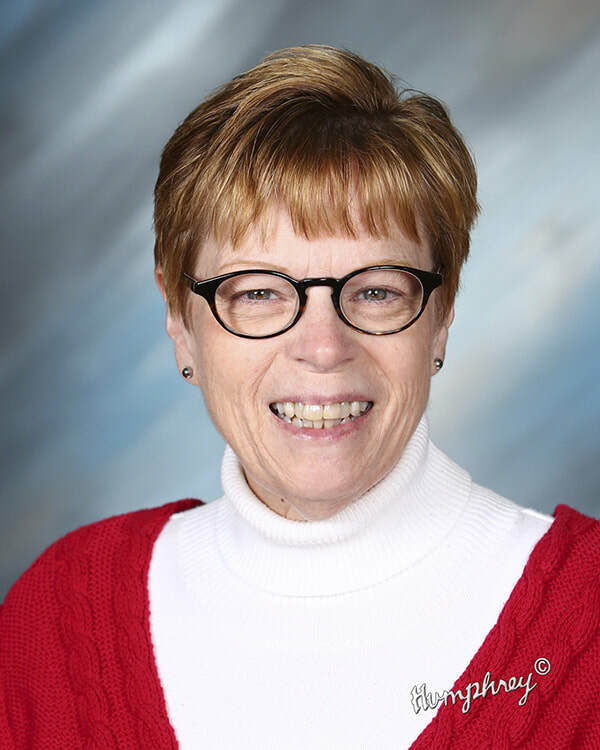 In 1991, she received a call from St. John’s Lutheran Church in New Minden to teach fourth grade at TSJ. For most of her 25+ years here at TSJ she has been the fourth grade homeroom teacher. She was blessed to have an opportunity to teach 2nd grade language arts, 5th, 6th, and 7th grade math as well. She also serves at the yearbook editor and technology manager at T-SJ. She is so thankful that the staff, school board and PTL have been willing to press forward to include SmartBoards and Chromebooks in the classrooms. Deb and her husband, Terry, have four legged children in their home. They are active in the church, in the group Adult Congenital Heart Association and Deb enjoys a group called the Zippered Sisters. They spend a great of time on the visiting her parents and sister in Nebraska, and siblings in Colorado, Indiana, Arizona, and Missouri. Deb’s favorite Bible verse is 1 Thessalonians 5:16-18. “Rejoice always, pray continually, give thanks in all circumstances; for this is God’s will for you in Christ Jesus”. It reminds her that no matter what is going on in her life, God is with her and has a plan for her. 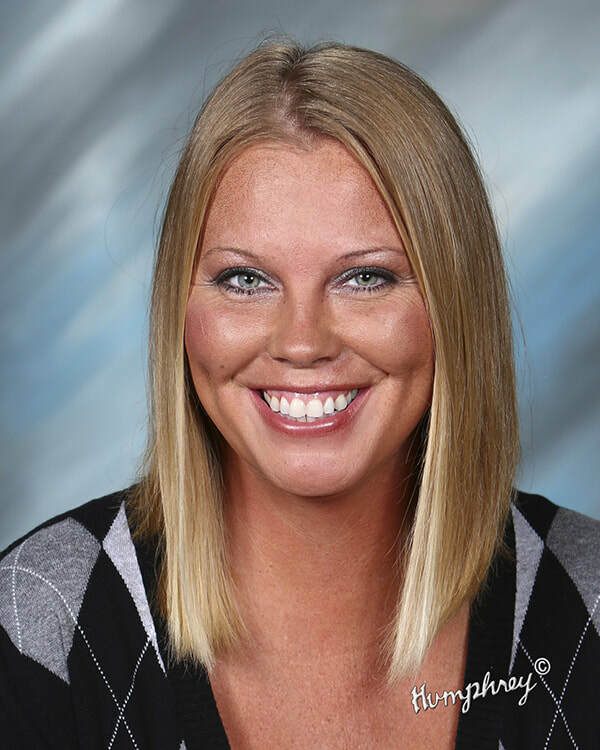 Tabatha (Frederking) Wessein is the fifth and sixth grade homeroom teacher at T-SJ. She was born and grew up in Nashville attending Trinity Church and Trinity-St. John school. After marrying her husband, John, in 1978, she moved to Pinckneyville and currently resides there with her family. She has a daughter, Mackenna, who just started the third grade, and a son, Dayton, who began kindergarten this year. Even though they live in Pinckneyville, they still attend church at Trinity, and her children have followed their mother’s footsteps by attending school at T-SJ. Her education to become a teacher began right here at T-SJ. After graduating from T-SJ in 1989, she continued her education at Nashville Community High School. She moved on to Kaskaskia College and finally received her BS in Elementary Education from SIU-C. She also received her endorsements to teach middle school classes at that time. In August 1998, she began her teaching career at T-SJ. Her first year was spent teaching preschool and helping in kindergarten. The following year she took over the reins as the kindergarten teacher and served in that capacity for a number of years. 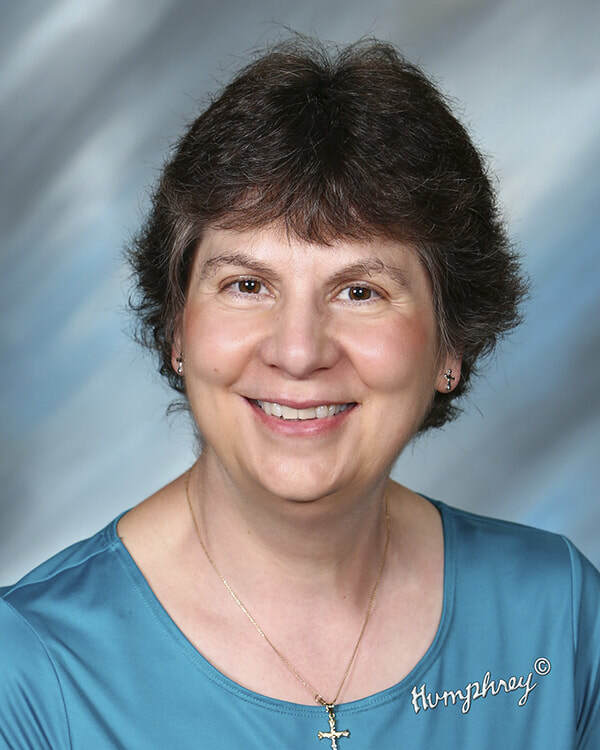 When the enrollment at T-SJ began to dip, she was moved to other teaching duties which included years teaching second grade, fourth grade science, fifth through eighth grade science, and preschool. She was always teaching something new and exciting. After some time, she assumed the duty of fifth/sixth grade homeroom teacher and taught all upper grade science as well as Math, English, Literature, PE, and Computers to various grades. 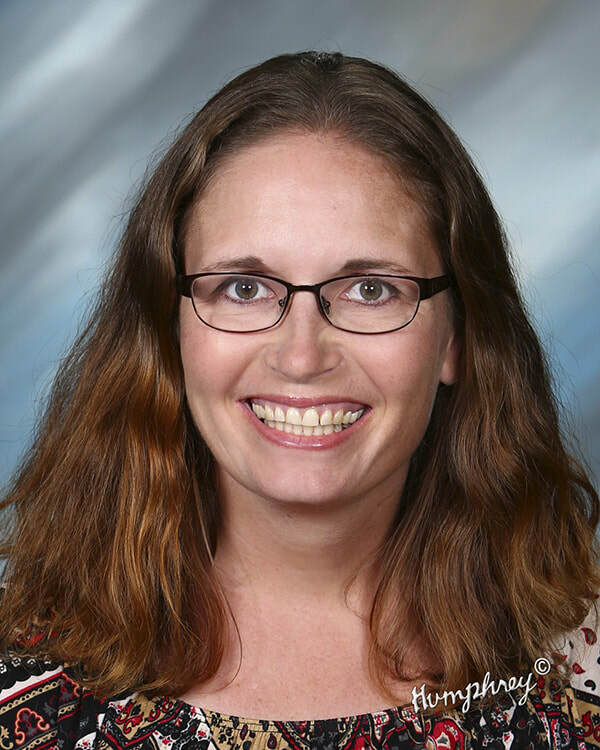 She is currently the fifth grade homeroom teacher, and teaches all upper grade Science as well as Algebra, fifth grade Math and Literature, and first and second grade PE. The 2016-2017 school year marks the beginning of the nineteenth year of her teaching career and nineteenth year at T-SJ. Most of her time is consumed with preparing for her teaching duties, but when she has a few spare moments she love’s spending time with her family. Their favorite activity to do together is camping. She also enjoys repurposing old items and loves making things out of old wood. Tabatha's favorite Bible verse comes from Matthew 19:14 where Jesus says, “Let the little children come to me and do not hinder them, for to such belongs the kingdom of heaven.” It reminds her daily of what the Lord has called her to do at T-SJ. Alison is originally from Nashville and currently lives in Aviston. She has been married to her husband, Adam, for four years and they have a son, Cohen. She graduated from Eastern Illinois University in 2008 with a Bachelor’s degree in Communications and from McKendree University in 2013 with a Master of Arts in Education degree. She spent the past two years at Greenville High School teaching English and working as the peer tutoring coordinator/Librarian. She has coaching experience in volleyball and enjoys reading, spending time with family and friends, and watching sports. ​Alison's favorite Bible verse is Philipians 4:13. “I can do all thing through Christ who strengthens me." Shawn has taught here at TSJ since 2002. 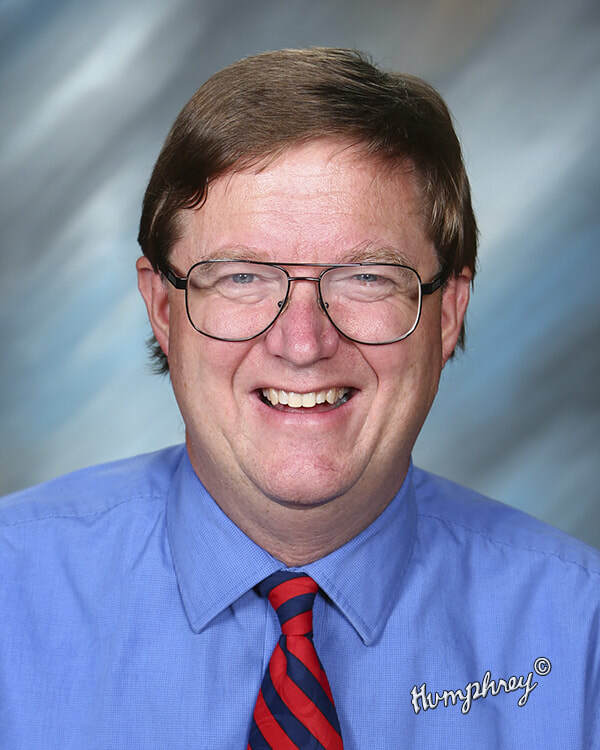 This school year will be his 14th year at TSJ, he has taught his entire teaching career at TSJ. He grew up in New Minden and currently resides in Hoyelton with his wife, Shannon and daughter Keeghan. He is a member at St. John’s New Minden, and went to grade school here at TSJ. He graduated from Nashville High School and attended college at Kaskaskia College and SIUE. He received his teaching degree from SIUE with a major in History. During his years at TSJ, he has taught a variety of subjects, but currently is teaching 5-8 grade departmentalized Social Studies, Math, Computers, and PE. Also, he serves as the Athletic Director, Baseball Coach and Assistant Girls Basketball Coach. When he is not teaching, he enjoys spending time with his family, fishing, golfing, playing beach volleyball, woodworking, and coaching. Cheryl has lived in Nashville all her life. She grew-up in a family of three sisters and one brother. She has one son, Kenny, and he blessed her with a great daughter-in-law, Taryn, and two grandchildren Elijah and Iylie Harris. She received an Associate of Arts degree at Kaskaskia College. All of her work experience is in clerical office environments. She plays handbells in Trinity’s Handbell Choir and enjoys reading and watching the St. Louis Cardinals. But she truly enjoys the Nashville Hornets and the Hornettes sports teams along with TSJ sports teams. She finds the NCAA tournament highly entertaining as well. Amy and her husband Mike are from Omaha, Nebraska and lived for nine years in Memphis, Tennessee before moving to Nashville. They have five children, ages 4 months-24 years and keep busy attending their many athletic and music events thought out the year. She attended Concordia University in Nebraska for both her Bachelors and Masters degrees. 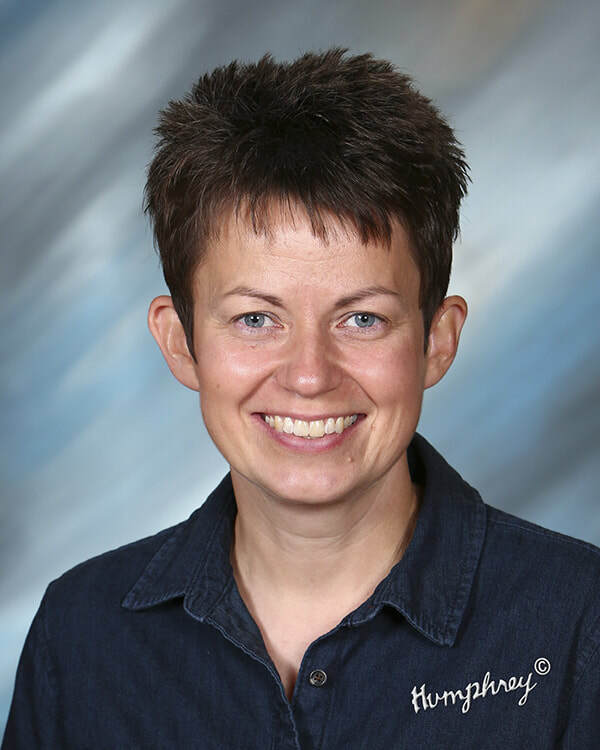 She has also completed the School Leadership Development Program in St. Louis as part of her preparations to be a principal in the Lutheran Schools. She taught for 17 years in Iowa, Nebraska, and Tennessee, grades K-8 in a variety of subjects. She enjoys reading, swimming, running, cooking, sewing, and playing games. Pastor Aaron Kotila is a graduate of Concordia Theological Seminary - St. Louis where he was earned a Master's of Divinity Degree in May of 2007. Pastor Kotila was ordained and installed on July 8, 2007 at Immanuel Lutheran Church, Rosebud, Missouri. He served as sole pastor until June, 14, 2015. He accepted a second call extended by Holy Spirit's leading to Trinity Lutheran Church, Nashville, Illinois. Pastor and his wife Teresa moved to Nashville and reside in the church parsonage. Pastor and Teresa have five children: Erica and her husband Courtney and their children Grabrielle and Lane of Leasburg, MO; Paul and wife Katie and their daughter Emma Grace of Gerald, MO; Adam lives in Nashville; Kyrsta and husband Tyler of Bolivar, TN; and finally their daughter Anah who is serving in the Navy in Yokosuka, Japan. Pastor Kotila enjoys spending time with his belove wife Teresa and their family. Hobbies include fishing, camping, and computer technology. Pastor Timothy Mueller and his wife, Dawn, reside in New Minden. They currently serve St. John Lutheran Church in New Minden and St. Luke's Lutheran Church in Covington. They have raised their sons there and enjoy spending time with them now as adults. Pastor enjoys playing the trombone and actively serving his community in various mission projects.